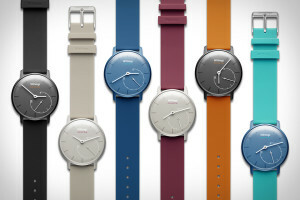 Withings is a consumer electronics company known for its innovative internet-connected devices. After achieving great success with its Withings WiFi Body Scale, the company began releasing more smart health gadgets for consumers around the world. With Big Apple Buddy’s personal shopping service, you can now buy direct from the Withings online store anytime, anywhere. The Withings Activité Smartwatch is the perfect gentleman's smart watch. Combining time keeping and activity tracking abilities, this high-end watch is available in two colors: sleek black with an orange accent for a sophisticated look and classic white with a blue accent for a simpler yet elegant style. The more casual Activité Pop Watch also incorporates activity tracking with your everyday life. For those looking for a good night's rest, the Withings Aura will monitor your sleep and wake you up at the best time of your sleep cycle. 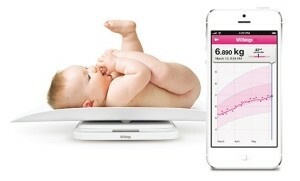 Withings also caters to the smallest member of your family with their baby line. Monitor your baby remotely with the Withings Smart Baby Monitor, which features a wide view camera and a high quality audio feed. Keep track of your baby's growth confidently with the Withings Smart Kids Scale, which allows you to create reliable growth charts to objectively assess your baby's health. For the older generation, the Wireless Blood Pressure Monitor is the easiest and most precise way to monitor your heart health through your smartphone. Unfortunately, the USA Withings online store does not currently offer international shipping. However, Big Apple Buddy, your personal shopper, can help you buy products direct from the official USA Withings online store and ship them to your doorstep, no matter where you are in the world. If you would like to buy from the USA Withings online store, simply let us know which items you would like to order (by filling out the form below) and we’ll get back to you with a free international shipping quote within 24 hours!